Julie was hired 7 years ago to Orion’s sister company Servpro of West Akron. 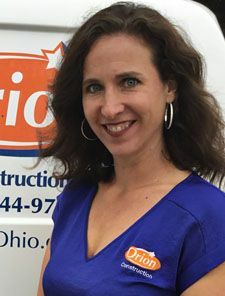 She now enjoys selling both Servpro and Orion to her customers in Akron, Cuyahoga Falls, Tallmadge, Stow and Munroe Falls. She lives in Stow with her husband and two children. Julie enjoys watching her children play football, lacrosse and soccer.